Indulge yourself with one of our beautiful, recently re-designed luxurious Feature Rooms, perfect for celebrating that special occasion, with flat screen TV and little extras like, a handy hairdryer and complimentary toiletries. 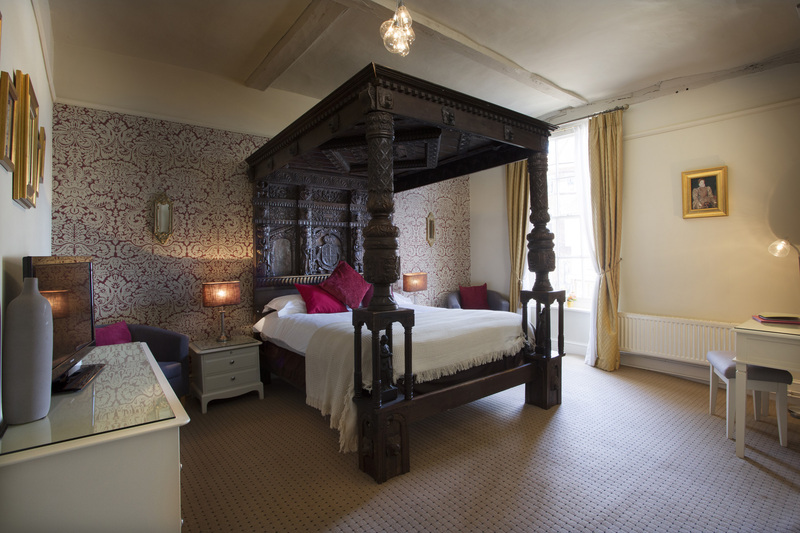 The Crimson room - Featuring a magnificent four poster bed, this is the room used by Queen Elizabeth I as her 'retiring room' when she visited Cranbrook in 1573. True Elizabethan splendour!